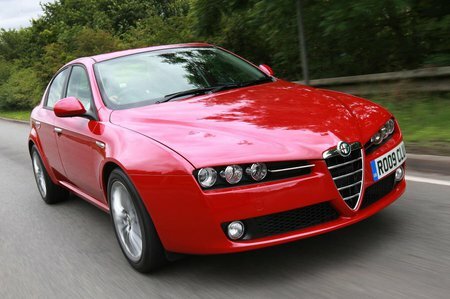 Which used Alfa Romeo 159 saloon should I buy? In the executive market, diesel is king, so think carefully before buying a petrol model. They're far rarer on the used market than the diesels and will depreciate faster. However, if the price is low enough, they can be an economical option. The 1.9-litre petrol with 160bhp is a sensible option, followed by the 185bhp 2.2-litre, and lastly the 256bhp 3.2 V6. In late'07 the 1.9-litre was replaced with a 1.8-litre engine with 138bhp, but has much better fuel economy and lower emissions. The 148bhp 1.9-litre diesel is the most common engine, and the best bet, followed by the 2.4-litre unit producing 200bhp. There is an option of four-wheel drive on the V6 petrol and larger diesel, but it doesn't substantially enhance the car's dynamics. Automatic gearboxes are optional on all models other than the 1.9-litre and 2.2-litre petrol engines. Every model is well equipped, with the base Turismo fitted with alloys, dual-zone climate control, electronic stability control and four electric windows. Lusso spec gets leather trim and parking sensors.